On her due date of July 1st, at 6 o’clock in the morning, Jenn felt her water break. She walked over to the bonus room, where Scott was sitting up with their son Declan, to let him know what was happening. They hadn’t prepared a bag, so they scrambled around, packing, showering, and making a phone call to Scott’s mom to babysit Declan. At 9 am they reached the hospital. Contractions hadn’t started, so they put Jenn on antibiotics and sent her home with instructions to return in about four hours. 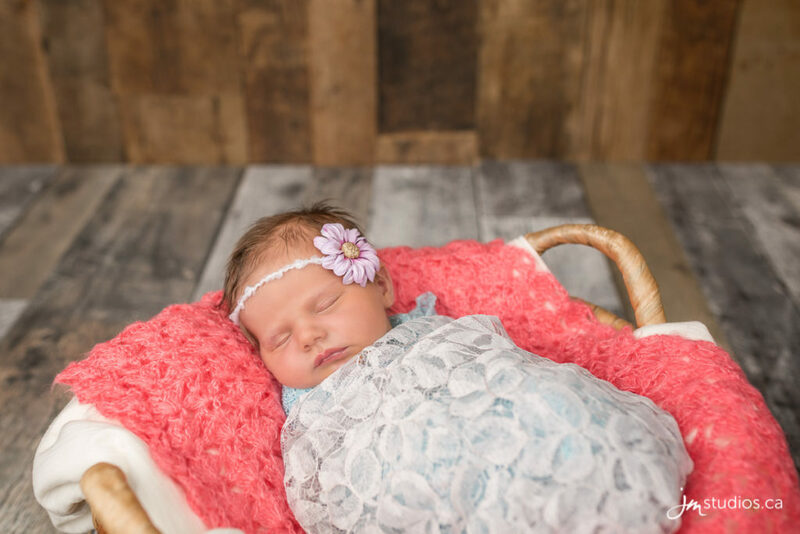 Her contractions began at home, and by the four-hour mark, they were so frequent that it was time to go back to the South Health Campus. Once in their room, Scott asked Jenn if she wanted a glass of water, to which she replied that she would rather have an epidural. At 5 pm, it was time to push. The first push was at 5:06. 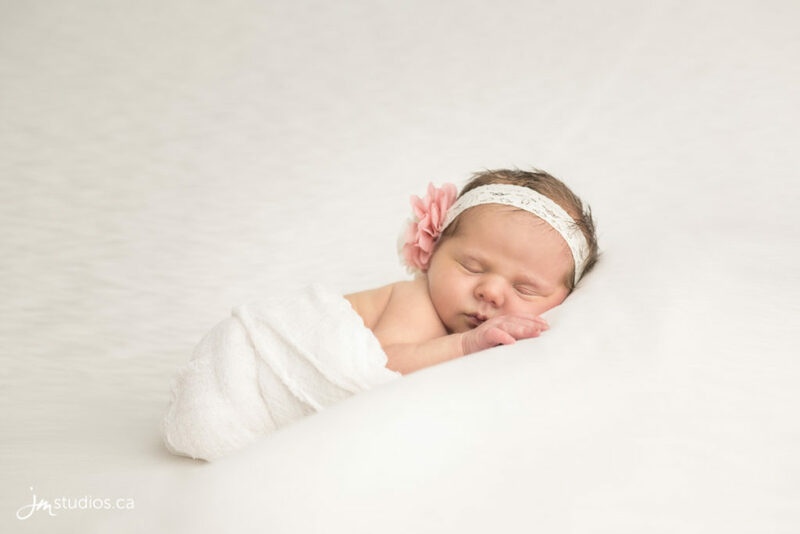 When the doctor arrived, she only had to push two and a half times before Reagan Lynette Glynis Bauer came into the world. At 18.3 inches, and 7lbs 1 oz., she was a whole pound lighter than her brother. That difference was not unnoticed by Jenn as they placed the little bundle on her chest. Jenn described the first moments with her daughter as pure ecstasy. At that moment, no one else in the room existed. The name ‘Reagan’ was one that Jenn was quite fond of for a long time, but Scott wasn’t sold. Throughout the pregnancy, they searched and searched for another moniker, with little luck. Finally, when the contractions began, Scott came on board. ‘Reagan’ just felt right. Her middle names, Lynette and Glynis, are for her grandmothers: Jenn and Scott’s mothers respectively. Reagan is a chill baby, a big contrast to her brother, which Jenn and Scott describe as a little tornado. When she’s fed, she’s happy and content. 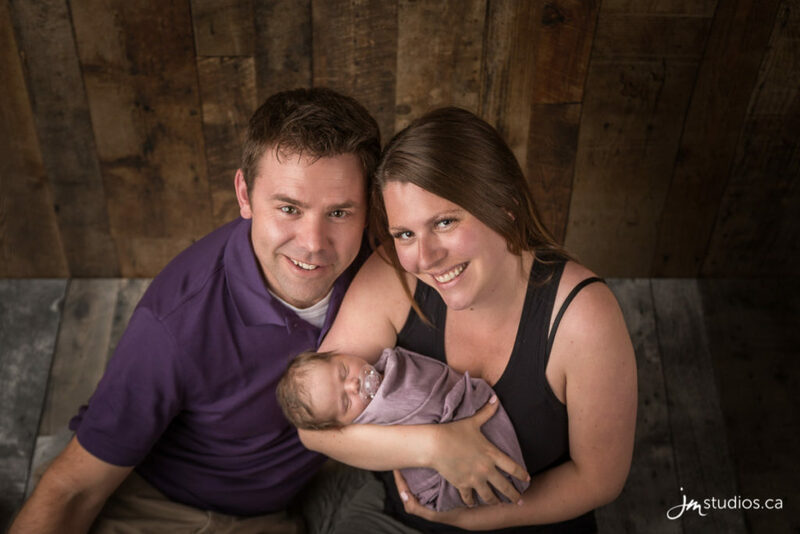 Jenn and Scott brought Reagan into our studio for a newborn session, only a few days after she was born. 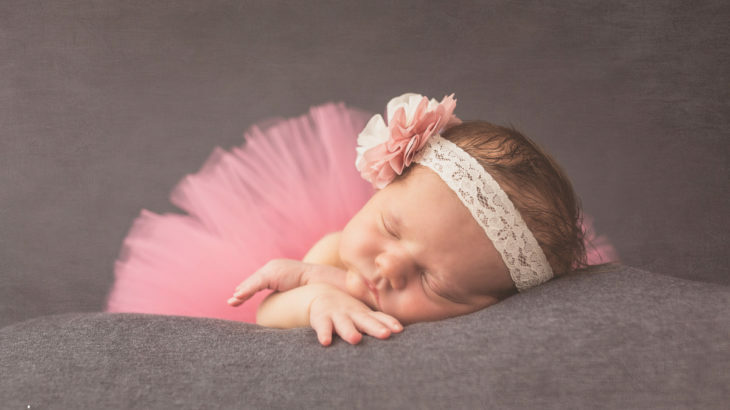 She was content and peaceful throughout the day, sleeping as we dressed and posed her. 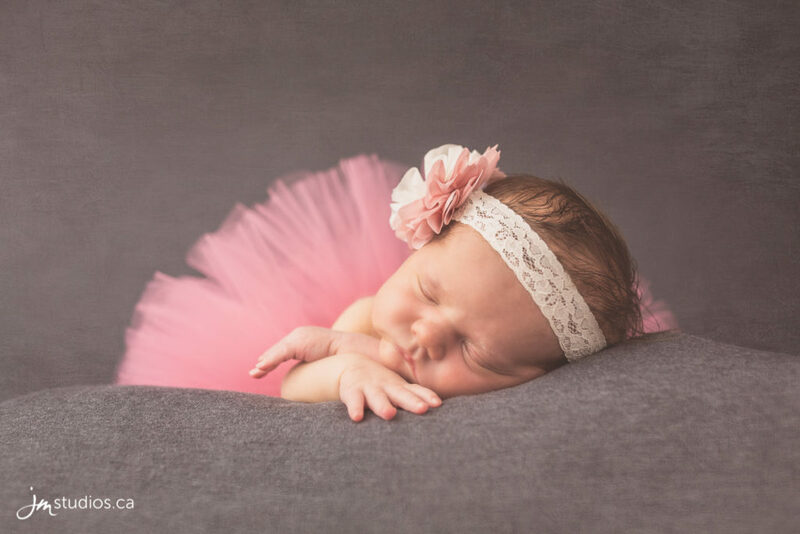 We started on a charcoal background and dressed her in a pink tutu (that Jenn brought) and flower headband. We then wrapped her up in a soft white blanket, where she curled up tightly into a cute pose. 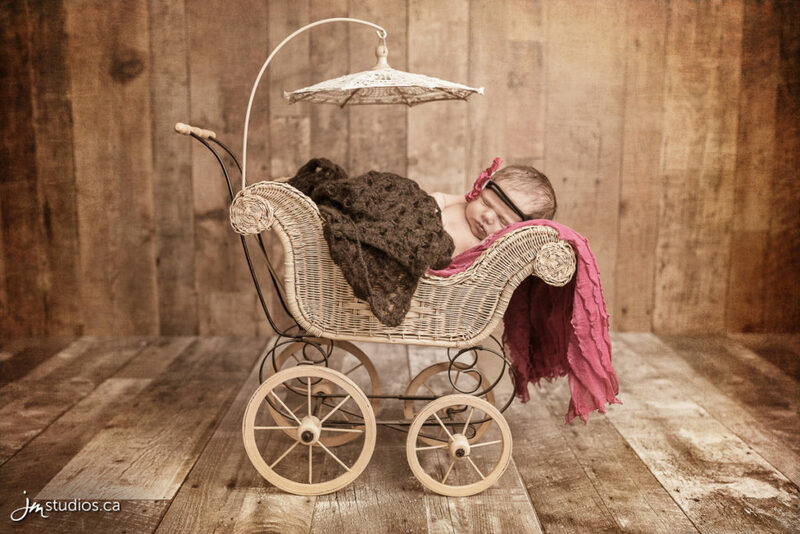 Next, we placed her against a wooden backdrop, inside a small antique-style baby carriage. 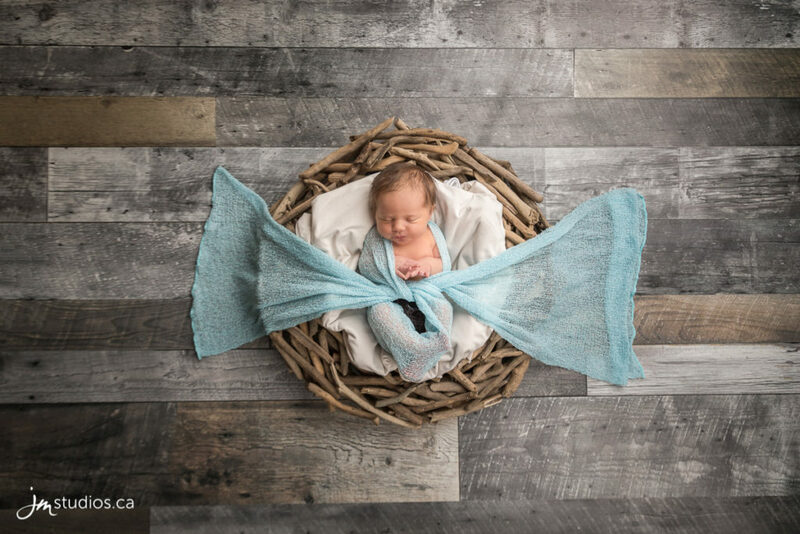 After the carriage, we swaddled her in teal and placed her in a large nest-like basket. 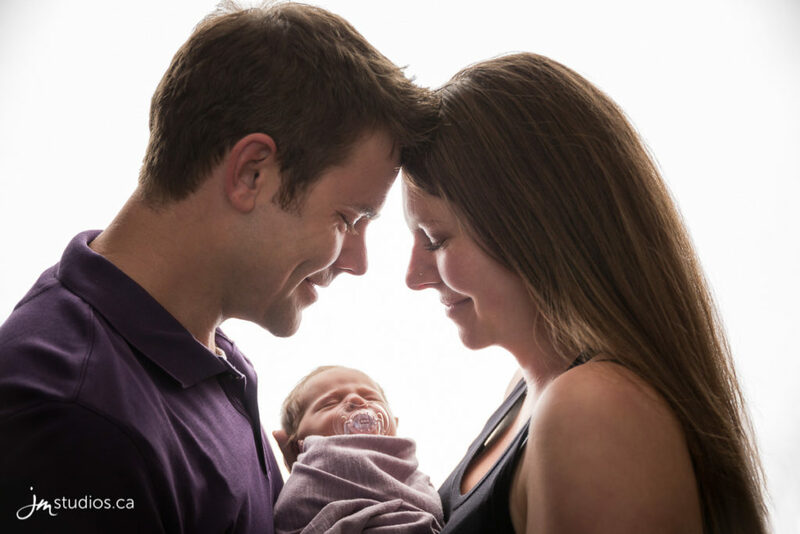 To wrap up the session, we shot a family grouping of Scott, Jenn, and baby Reagan, cozy and cuddly in the arms of her parents. We had a great time with the Bauer family and were so happy to meet little Reagan. 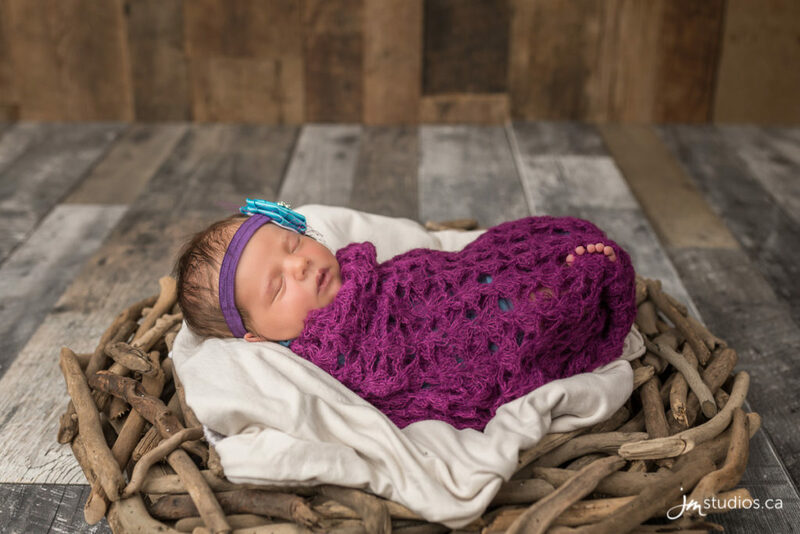 She was a pleasure to photograph, and we’re so happy to share these beautiful images with her parents! 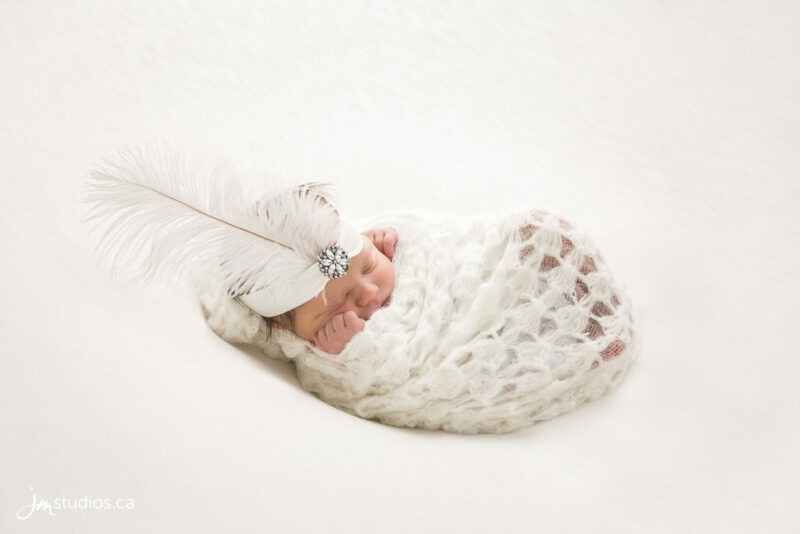 We are so fortunate to have had the opportunity to capture these precious first moments of Reagan for their family. It was a very special day with them and we wish them many years of happiness as their family grows. 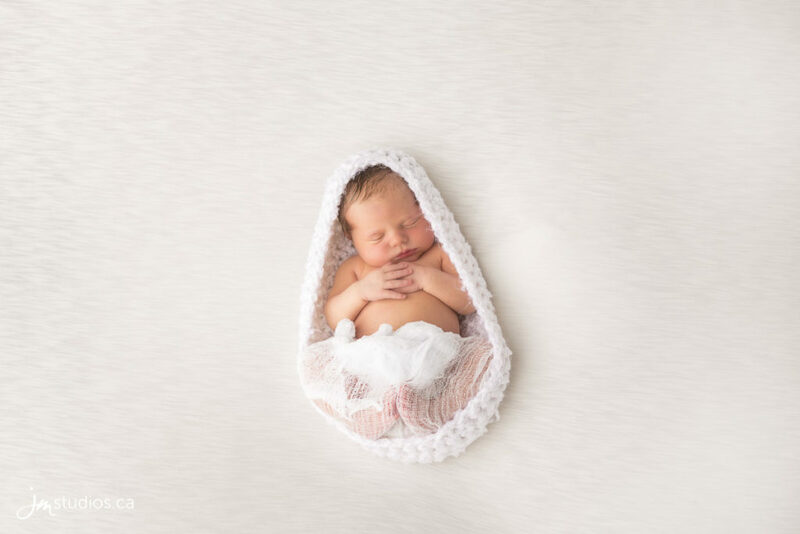 Newborn Photography Babies, Baby, Beautiful, Calgary, Child, Children, Contemporary, Creative, Family, Infant, Jeremy Martel, JM Photography, JMportraits, Newborn Photographer, Newborn Photography Calgary, Newborns, Precious Memories, Timeless. permalink.